HEY MOM! Look What I Made!! I don’t consider myself particularly crafty… I have a sewing machine, but it’s been about 7 years since I’ve sewn anything (I’m DYING to re-learn how to sew it if anyone is up for giving lessons) I’m also terrible at knitting, crocheting… you name it, I’m not so good at it and won’t have the patience to see it through. 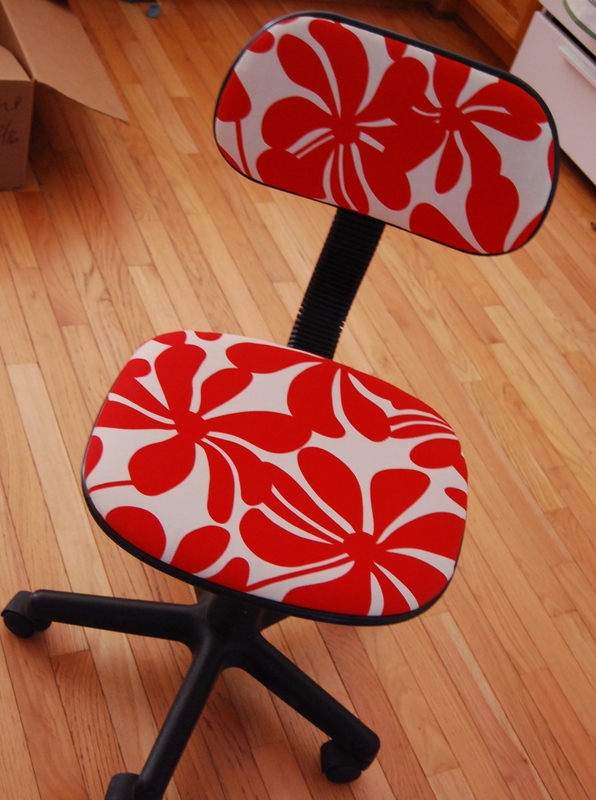 Hand me an industrial stapler and I make… reupholster office chairs. 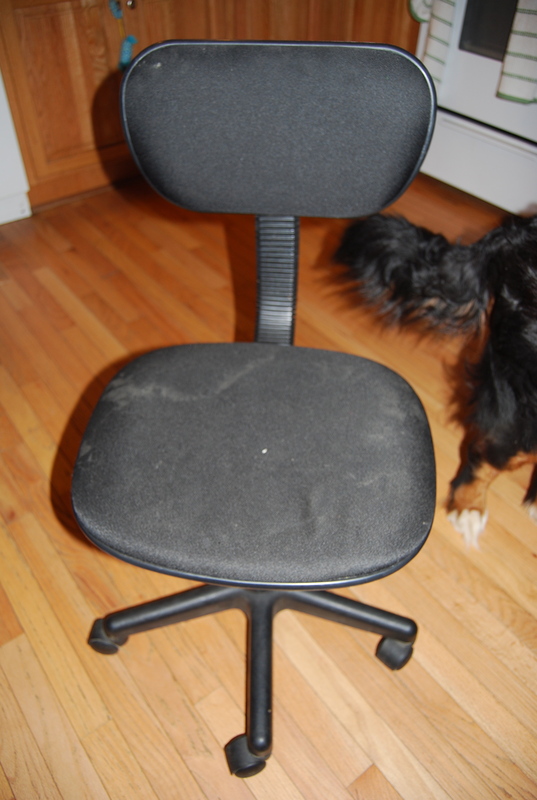 We had a cheap old office chair that was in pretty bad shape — okay, it was gross. The kids like to spin in it so it had milk stains on it but it’s the perfect size for our new small desk in the guest room/office of our new house which will be black white and red… so I had to save it somehow. And well, let’s just say I was pretty much fixated. I did a three store search for the right fabric but came up pretty empty for the black white and red room and settled on a red flower indoor/outdoor fabric thinking it was definitely the best fabric for my purpose. I hoped the petals would be a little Matisse-esque after I put it on the chair… it didn’t turn out that way at all because I ended up centering the flowers which, I probably shouldn’t have done– but I digress. Yup. Ew. I can’t believe I am actually showing you a picture. Slightly too tropical but much more awesome after! Even though the top part turned out a bit too tropical (I think the seat is fine) I still love it! I wish I had more use for crappy office chairs! I’d make more. Next time (assuming there is one) I’ll pick a bright plastic spray paint for the body, but not painting the plastic made this chair make over super quick! I’m mildly concerned about the room becoming too college dorm-y… any ideas on how to prevent that? 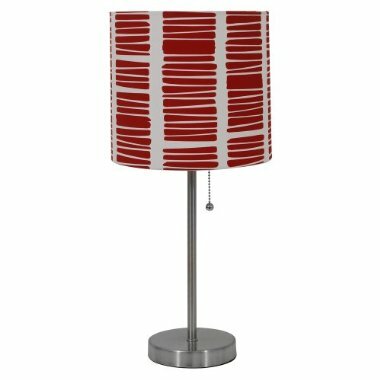 And thanks to Remodelaholic.com for the fabulous idea!! I can’t wait to do a different chair! — If anyone has any chairs they don’t want anymore let me know! Previous post ← What Mommy Does When She Goes Out at Night. here is your real mom, and I love it!!!! I have concerns about us getting too college dorm as well. I think the trick is to keep everything from looking like it came in a set – you know the kind they sell at Target where everything is coordinated? Have some stuff that doesn’t match.